The Ipana Troubadors (aka The Ipana Troubadours) was a musical variety radio program which began in New York on WEAF in 1923. In actuality, the Troubadors were the Sam Lanin Orchestra. They opened the show with their theme, "Smiles." The show was sponsored by Bristol Myers' Ipana Toothpaste, and it was during this period that Bristol Myers introduced the slogan, "Ipana for the Smile of Beauty; Sal Hepatica for the Smile of Health." With a mix of hot swing music and novelty tunes, the show moved from WEAF to the NBC Red Network (1926-28) for a 30-minute series on Wednesday evenings at 9pm. 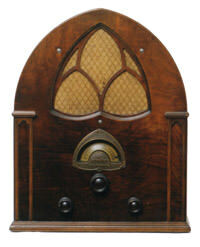 It then aired on the Blue Network (1929-31) Mondays at 8:30pm. 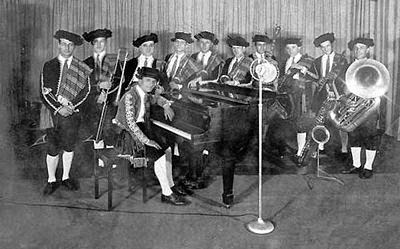 Network radio exposure made the Ipana Troubadors one of the most well-known dance bands of the 1920s, resulting in a recording contract with Columbia and bookings at dance halls, such as the Casino at Bemus Point, New York. However, the recording contract covered only the Ipana Troubadors, so Lanin continued to recording on other labels under his own name and a variety of pseudonyms.